There are three critical reasons Israel matters to every one of us. Two of them are temporal. The third and most important is spiritual. And it is time for our voices to be heard. •First, Israel matters because it is the only stable democratic nation in the Middle East. This is more important than ever as we watch regimes totter and fall across the region. And Israel has long been a faithful friend and ally of the United States. •Second, Israel matters because of the enormous economic and scientific contributions it makes. Though Israel is a tiny nation with just a few million people, it is a world leader in developing new technology. Some of the most important advances we now take for granted — the flash drive, the pill camera, and robotic technology — were birthed in Israel. •But the most important reason Israel matters is because it matters to God! The promises of God to the Jewish people have never been revoked. Israel is at the very center of God’s plans for our world today … and tomorrow. Let us look briefly at this list. First, the praise of democracy. This is based on a faulty metaphysical notion that the free, autonomous individual actually exists, and that he is the foundation of good civil society. But he is neither. The extended family would make for a better floor on which to build. Thus, a government made up of the heads of the various clans/extended families of the country would be a better model than a democracy of atomized individuals with no allegiance to anything other than their own narrow self-interest (ironically, this is also close to the model Israel followed in the Old Testament, but secular, Enlightenment Modernity is her rule nowadays). These patriarchs would have a natural tendency to work for the good of their families as opposed to the representatives of invented, make-believe districts whose duty to uphold abstract ‘constitutional values’ withers quickly before the heat applied by corporate lobbyists, deep state operatives, and such. So, hierarchy, not democracy, is to be preferred. This is something the South understood in her better days, and hopefully will once again. When one or more robots was introduced into the workforce between 1990 and 2007, it led to the elimination of an average of six jobs. During those years, robots accounted for the loss of about 670,000 manufacturing jobs, and this is expected to rise in the coming years as robots continue to take over tasks previously performed by people. The report, published by the National Bureau of Economic Research, estimated that one more robot per thousand workers reduces wages by 0.25-0.5 per cent. Between 1993 and 2007, the authors of the report wrote that ‘the stock of robots in the United States and Western Europe increased fourfold’. It explains that industrial robots are ‘fully autonomous machines that do not need a human operator and that can be programmed to perform several manual tasks such as welding, painting, assembling, handling materials or packaging’. (JTA) -- Republican presidential candidate Donald Trump was gifted a traditional Jewish prayer shawl by a pastor during a visit to a black church in Detroit. Bishop Wayne Jackson of the Great Faith Ministries in Detroit draped the tallit around Trump’s shoulders after the candidate finished addressing the congregation. “Let me just put this on you,” Jackson said as the congregation burst into applause. In 1991 the Pulitzer Prize-winning journalist Seymour Hersh published The Samson Option: Israel’s Nuclear Arsenal an American Foreign Policy. The book reveals how a nuclear warhead was developed in an underground facility in the Negev Desert in the 1960s with technology acquired from France. During the Yom Kippur War in 1973, Israel blackmailed Henry Kissinger and Richard Nixon. It threatened to use a nuclear weapon against Egypt and Syria during the war if the United States did not ship ammunition and spare parts. If we consider the evangelicals, support for Israel is the central tenet of their religion – it is not Jesus or God or the Holy Spirit, and it is certainly not any of the teachings of Jesus’s Sermon on the Mount. Support for Israel is the most fundamental idea behind evangelical Christianity or what could also be called Christian Zionism. And evangelicals will continue their support for Israel no matter what heinous atrocities that that illegal terrorist state continues to perpetrate against the indigenous non-Jewish peoples of the region. Evangelicals and Christian Zionists in general simply do not care. They evaluate the righteousness or unrighteousness of someone by the degree to which that person supports Israel. . . .
May they wake up soon. Although they appear to be opposites, there is in fact a close kinship between ecumenism and nationalism. This kinship was elucidated by the Russian diplomat and publicist Constantine Leontiev, who, though an ardent philhellene, was strongly critical of the nationalism of the Greek revolution. He also thought that the Serbian and Bulgarian nationalisms that motivated the other Balkan revolutions were very similar in their aims and psychology to the Greek – that is, sadly lacking in that "universalist nationalism" that he called Byzantinism. These petty nationalisms, argued Leontiev, were closely related to liberalism. They were all rooted in the French revolution: just as liberalism insisted on the essential equality of all men and their "human rights", so these nationalisms insisted on the essential equality of all nations and their "national rights". But this common striving for "national rights" made the nations very similar in their essential egoism. It replaced individuality with individualism, hierarchy with egalitarianism, right faith with indifferentism (ecumenism). Leontiev believed, as Andrzej Walicki writes, that "nations were a creative force only when they represented a specific culture: 'naked' or purely 'tribal' nationalism was a corrosive force destroying both culture and the state, a leveling process that was, in the last resort, cosmopolitan; in fact, nationalism was only a mask for liberal and egalitarian tendencies, a specific metamorphosis of the universal process of disintegration". According to Leontiev, the nations' striving to be independent was based precisely on their desire to be like every other nation: "Having become politically liberated, they are very glad, whether in everyday life or in ideas, to be like everyone else". Therefore nationalism, freed from the universalist idea of Christianity, leads in the end to a soulless, secular cosmopolitanism. "In the whole of Europe the purely national, that is, ethnic principle, once released from its religious fetters, will at its triumph give fruits that are by no means national, but, on the contrary, in the highest degree cosmopolitan, or, more precisely, revolutionary." The revolution consisted in the fact that state nationalism would lead to the internationalist abolition or merging of states. "A grouping of states according to pure nationalities will lead European man very quickly to the dominion of internationalism" - a European Union or even a Global United Nations. "A state grouping according to tribes and nations is… nothing other than the preparation - striking in its force and vividness - for the transition to a cosmopolitan state, first a pan-European one, and then, perhaps, a global one, too!..." Beneath the first blue sky. With their shadows newly born! Not one dead leaf exists. From town to town to teach. Words of God to heed. They welcomed you to Heaven. Your relics heal the sick. O man dear to God, by your prayers! 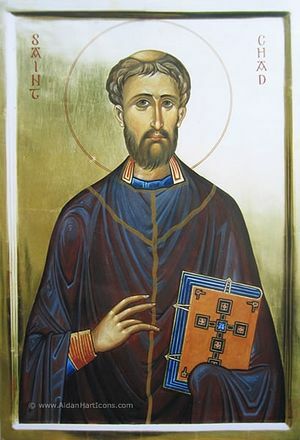 St Chad, who went to his rest in the Lord on 2 March 672 A.D. Ikon from http://www.pravoslavie.ru/english/101836.htm, 21 March 2017. 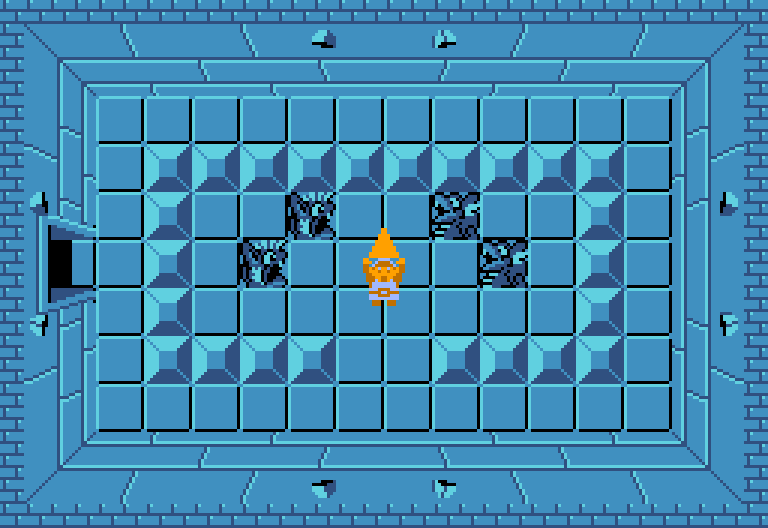 Nintendo’s The Legend of Zelda series is defined by the idea of the labyrinth. 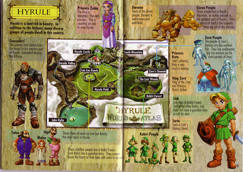 Both the overworld and the various temples, dungeons, etc. serve as labyrinths. But a labyrinth has a specific purpose: to initiate those who are worthy into the inner mysteries or beliefs or ways of a group of people, usually a religious group. On its surface, Legend of Zelda is an adventure game wherein the player saves a princess and her kingdom from an evil usurper and his minions. Beneath this outer layer, it seems more than likely that this series of games (particularly those in the main canon of the games where Zelda, Ganon, Link, and the Triforce are involved) is Gnostic theology dressed up in fictional form. Let us run through some of the basics of the heresy of Gnosticism first and then see how they are presented in LoZ. In many Gnostic systems (and heresiologies), God is known as the Monad, the One. [note 13] God is the high source of the pleroma, the region of light. The various emanations of God are called æons. According to Hippolytus, this view was inspired by the Pythagoreans, who called the first thing that came into existence the Monad, which begat the dyad, which begat the numbers, which begat the point, begetting lines, etc. Almost all Gnostic systems of the Syrian or Egyptian type taught that the universe began with an original, unknowable God, referred to as the Parent or Bythos, or as the Monad by Monoimus. From this initial unitary beginning, the One spontaneously emanated further Aeons, being pairs of progressively 'lesser' beings in sequence. Together with the source from which they emanate they form the Pleroma, or fullness, of God, and thus should not be seen as distinct from the divine, but symbolic abstractions of the divine nature. The transition from the immaterial to the material, from the noumenal to the sensible, is brought about by a flaw, or a passion, or a sin, in one of the Aeons. In most versions of the Gnostic mythos, it is Sophia who brings about this instability in the Pleroma, in turn bringing about the creation of materiality. According to some Gnostic texts, the crisis occurs as a result of Sophia trying to emanate without her syzygy or, in another tradition, because she tries to breach the barrier between herself and the unknowable Bythos. After cataclysmically falling from the Pleroma, Sophia's fear and anguish of losing her life (just as she lost the light of the One) causes confusion and longing to return to it. Because of these longings, matter (Greek: hylē, ὕλη) and soul (Greek: psychē, ψυχή) accidentally come into existence. The creation of the Demiurge (also known as Yaldabaoth, "Son of Chaos") is also a mistake made during this exile. The Demiurge proceeds to create the physical world in which we live, ignorant of Sophia, who nevertheless manages to infuse some spiritual spark or pneuma into his creation. From the initial unitary beginning, the One spontaneously emanated further Aeons, pairs of progressively "lesser" beings in sequence. The lowest of these pairs were Sophia and Christ. The Aeons together make up the Pleroma, or fullness of divinity and thus should not be seen as identical with God nor as distinct from the divine, but as embodied divine emanations. -A single god who dwells in a region of light. -A pair of emanated beings from this god, Sophia and her consort. Sophia is the inner life of the cosmos. -From Sophia comes the Demiurge, who, thinking he his god, with the help of the divine essence, tries to fashion worlds, people, etc. from the material made by Sophia according to his own plans. -Pieces of the one divine god have become trapped in material bodies and must be freed from them to be reunited with the monad. -The other person in the aeonial pair who existed with Sophia in the pleroma of the monad comes, undoes the work of the Demiurge, and reunites Sophia and the other scattered divine sparks with the monad, thus bringing salvation to the world. In the LoZ, these are presented in the following way. -The Triforce, the essence of the goddesses who created the world, is left behind in the Golden Land, a land of light, to be the ruling power in the world. It is the monad. -Princess Zelda, the ruler of Hyrule, like Sophia, is a symbol of the world-soul, the one who gives life to the world. -Ganon is the Demiurge, who, with the essence of the goddesses in the Triforce, attempts to remake and rule the world. 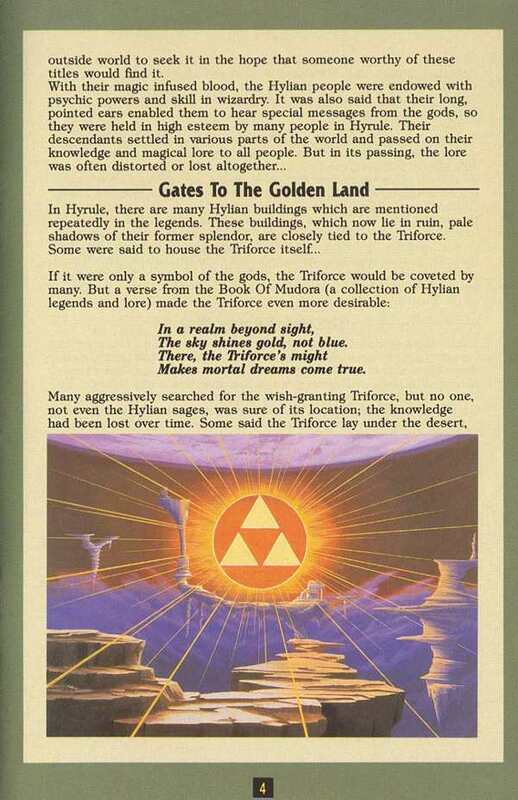 -Part of the Triforce is shattered, its pieces being scattered throughout the world (the Gnostic ‘sparks of divinity’), in the hopes of being found and reunited by a worthy hero. -Link, Zelda/Sophia’s syzygy or consort, appears, reunites the Triforce shards, overthrows Ganon, and returns Zelda and her kingdom to their rightful order. The kinship between the Gnostic system and LoZ is further strengthened by Link’s ‘descending’ oftentimes into dungeons, etc. in his efforts to reunite the Triforce pieces, just as the Gnostic savior must ‘descend’ into the material world from the spiritual pleroma to free the trapped divine sparks. 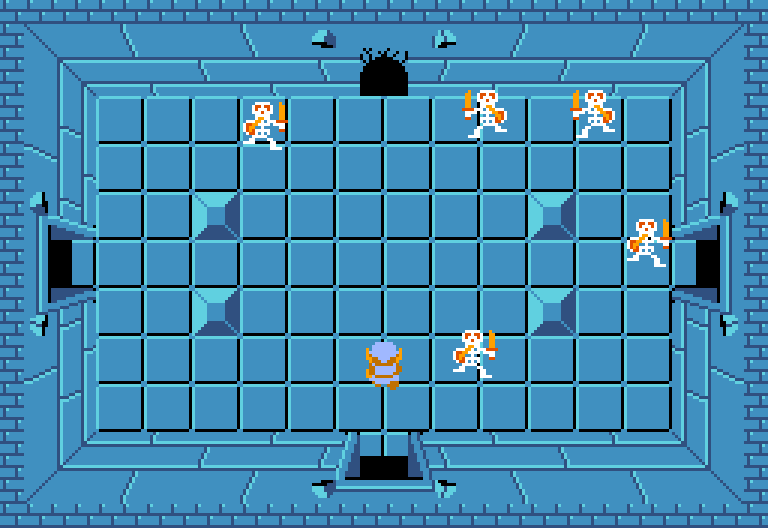 As we said at the outset, the labyrinth theme dominates throughout The Legend of Zelda. And now we can say with some confidence what its deeper meaning is: You are being initiated into Gnosticism. Nationalism must be tempered by the overarching unity and authority of the Orthodox Christian Empire centered in Moscow, the Third Rome, under the reign of the re-established Tsar or else all the recent gains against globalism will come to nothing. Realism in MO (+ mercantilism and protectionism in economy) is almost guaranteed and it will become soon the ideology of the political Centre (with some delay needed to cleanse the last Liberals). Welcome into a new era of nationalism. . . . the essence of nationalism, not the name, will come back and will be established everywhere, as simplistic alternative to the liberal hegemony, that is falling apart before our very eyes. In 1952 Van Tassel himself claimed to receive messages via telepathic communication from an extraterrestrial and interdimensional being named "Ashtar". This source became the "first metaphysical superstar of the flying saucer age". Van Tassel also interpreted the Christian Bible in terms of extraterrestrial intervention in the evolution of the human race, and claimed that Jesus was a being from space. The Ministry of Universal Wisdom taught that all humans have the power to tap into the "Universal Mind of God", which facilitates evolutionary progress such as that exemplified by Jesus and Ashtar. Van Tassel also claimed that by accessing the Universal Mind he could receive messages not only from Ashtar but from humans who had died, such as Nikola Tesla. From Tesla he claimed to receive instructions to build the "Integratron" machine, which could extend lifespan and access knowledge from the past and future. Part III includes some of these threads. Foster, the CIA agent from Part I who wants the light and dark statues for himself, reappears and has been conducting research and is now creating super humans called ‘bio-noids’ using the energy from between dimensions that opened after Ryu defeated the demon in Part II. have been transformed with life energy. Dragon Clan body with life energy. make a superior bio-noid. [as Double jumps in]  Let's get started! Not being privy to pre-modern thinking, most of us don’t really understand the importance of bloodlines in the ancient world. The ancient world was essentially a caste system, and many societies today, such as India still operate in this fashion. Unless one is of a royal lineage of bloodline, one must accept a certain position within the strata of society. Modernity is supposed to be egalitarian, but the class distinctions have merely been reorganized from lines of royalty to lines of wealth. The Bible itself is concerned with bloodlines, since Jesus Christ is the promised seed, descended from Adam through Noah through Abraham through King David and his Mother from whom the Church professed He derived his humanity. For the ancient world, bloodlines were thus everything. This is important, because the occult philosophy of the modern so-called rationalists still adhere to this ancient principle. For the NWO occultists, there is “power in the blood,” as much as for the Christian, by which they mean magic power. Thus, the top dynasty-families that run the world, like the Rothschilds, Rockefellers, Morgans, Warburgs, etc., like the ancient royalties, all believe they must inter-marry in order to maintain bloodline purity. Dan Brown’s silly DaVinci Code is a perfect example: while the book is certainly false, it evidences the occult world’s obsession with maintaining magical purity inherent in the family bloodlines. In fact, some of these occultists believe themselves to be descendants of gods: an example of this is the Satanic philosophy of Nazism, by which Heinrich Himmler, through his SS, sought to breed a pure Aryan bloodline: a bloodline which had the power of the gods of Atlantis running through it, as Peter Levenda’s book Unholy Alliance: A History of Nazi Involvement with the Occult shows. go now. The life energy and the secrets of the ruins will be mine! So long! world will be created. It's the new source of ALL LIFE! The time has come. age is about to begin. And you get to stay behind. Ryu:  Where is Clancy? [as he sees a large monster] C-c-c-c-...You're Clancy! Clancy’s final morphing into some kind of giant killing machine at the end may be a hint of the Skynet future the Elite have in mind to ‘liquidate’ the (as they see it) unnecessary, parisitic humans that are a blight upon the earth. The image of a cave, where the major action of the games takes place, is very important. It is in the cave, according to many traditional views of that symbol, that re-birth takes place (Rene Guenon, Fundamental Symbols, p. 140, https://archive.org/stream/reneguenon/1962%20-%20Symbols%20of%20Sacred%20Science%20-%20Fundamental%20Symbols%20-%20The%20universal%20language%20of%20sacred%20science#page/n131/mode/1up). This is the whole of the Elite’s plan, the re-birth of the world in the image of the devil (whether by the chaos caused by demonic attack or the cold, heartless precision of modern technology). So it is not insignificant that so much time in this series is spent in caves and caverns of the mountains, as this reveals the intentions of the Elite. Ryu:  Humans are always striving to achieve. out to achieve some ambitions. world. That's my one desire. A new day is about to begin. But the only force strong enough to withstand and defeat evil in the world is the Orthodox Church, particularly when the Christian Empire ruled by a Christian king is manifest in the world. This is why we would all do well to pray for the healing of Russia, that she would be able to take up again that mantle as leader and protector of the Christian world which she dropped in the Revolution of 1917-8, and to rid ourselves of every delusion about heretical America and Western Europe being the saviors of the world.